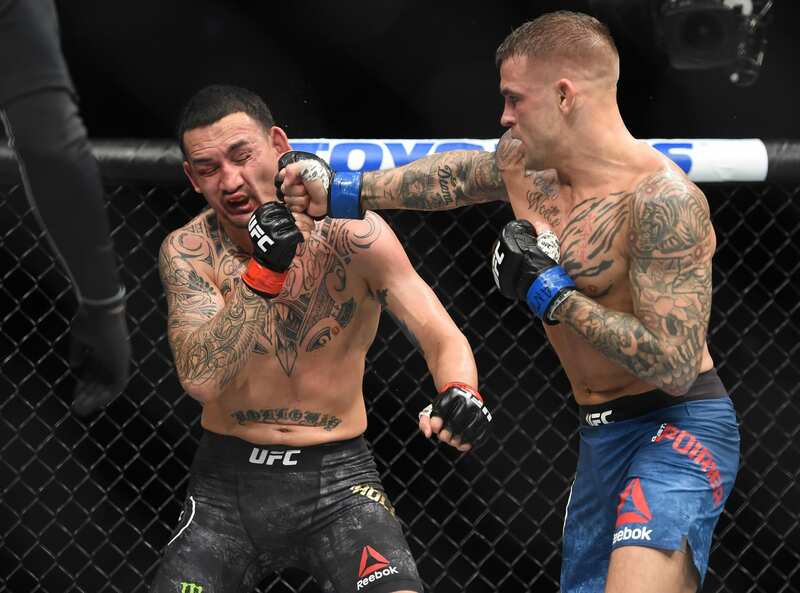 Dustin Poirier and Max Holloway just put on an electric show for the interim lightweight title in the main event of last night’s (Sat., April 13, 2019) UFC 236 from the State Farm Arena in Atlanta, Georgia. The bout capped off an incredible event for the UFC after Israel Adesanya and Kelvin Gastelum’s classic war in the co-main event (watch those highlights). In the end, Poirier emerged victorious by unanimous decision to cap his own rise to the top of the lightweight mountaintop. He only has one incredible challenge left in the storied division.